I don’t think I’ve ever hidden the fact that I write posts ahead of time and schedule them to appear here on the appointed day. Most bloggers do this. It’s a survival mechanism: We’d all be in straight-jackets by week four if we had to manually post each and every post on the appointed day and time. Life is too complicated and we all usually have other lives as well as our demanding blogs. But this habit of posting ahead of time put me into a sort of leap-frog position, and I may even have leapt clear over two whole lillypads, too. 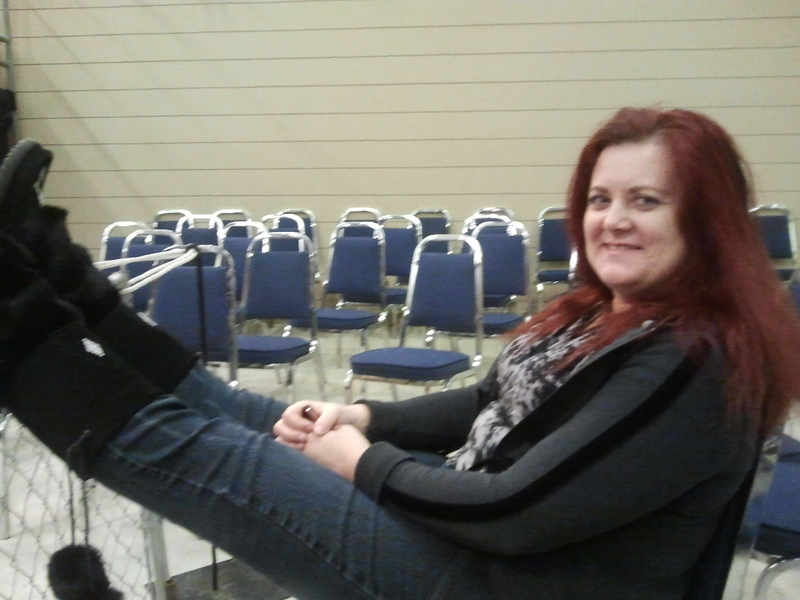 Me relaxing at ringside before the show. Taken five minutes after I wrote this post. 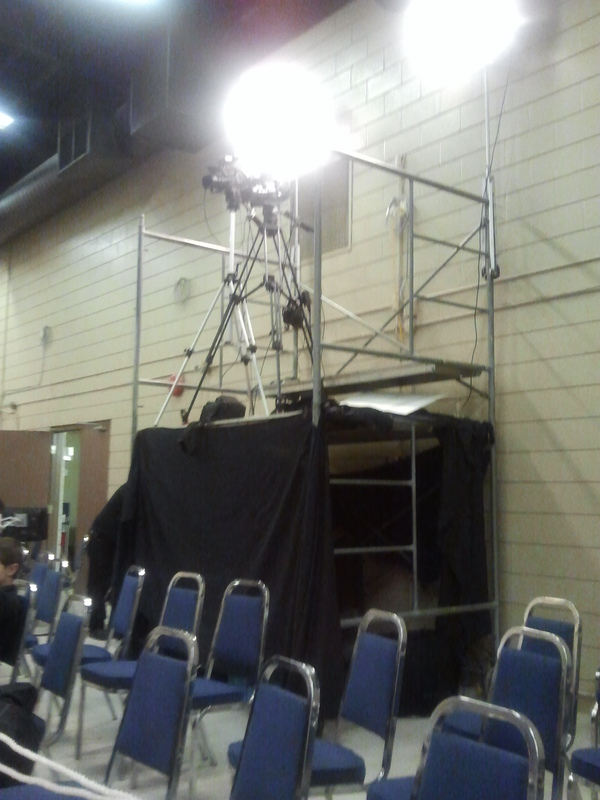 TV crew's equipment and scaffolding. In these working notes, I like to talk about the current book I’m working on. Right now as I type this note, I’m sitting in the Edmonton wrestling arena while the Monster Pro Wrestling crew are setting up for tonight’s show (which is in the past as you read this). 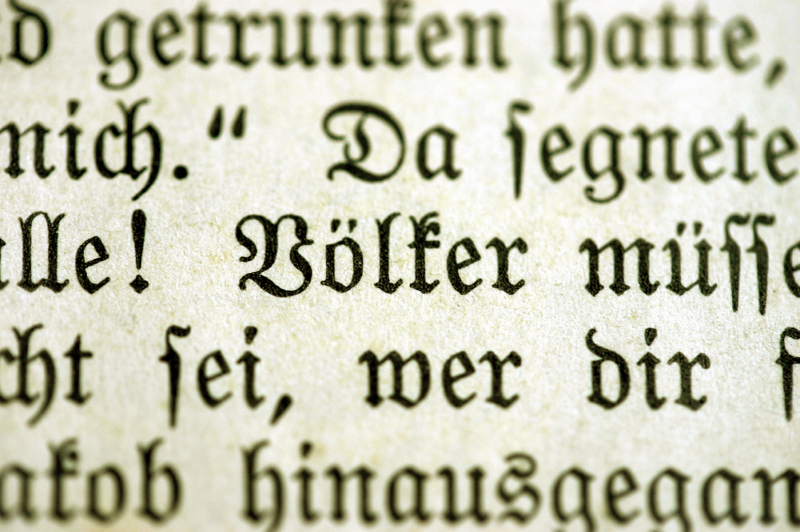 And right at this moment in time, I’m smack in the middle of formatting and uploading Lucifer’s Lover and releasing onto an unsuspecting public: You. Mark and his heel buddies, during the live show. I already have the cover for Lucifer. It arrived this afternoon, and I got it on my cellphone…it’s gorgeous, divine and I’m over the moon. I can’t wait to reach a wi-fi network so I can tell Dar Albert how much in love I am with the cover. I’ve got short odds on getting Lucifer finished tomorrow. In between this Working Notes post and the last one, I also finished and released The Royal Talisman. There’s my two lillypads. There’s the two books you missed out on. Because if what I’m predicting comes true, then by the time you read this, then what I’ll be working on will in fact be Byzantine Heartbreak, the second book in the Beloved Bloody Time series. But let’s pretend I’m still working on Lucifer’s Lover and that it hasn’t been officially released yet, and you’re not staring at the lush cover to the right there in the column. She was still trembling when she got behind the wheel of the car to drive home but it was a heady mix of elation and relief, not the undiluted fear she had been feeling before. She tried to push the key home twice and failed. No one had ever driven her car before except her but she silently climbed out and moved around to the passenger side, handing Luke the keys as they passed in front of the hood. The drive to Luke’s place was silent and in the silence and the warmth from the car’s heater, she felt her body relax, her mind quiet and her nerves go off-line. By the time he halted the car in front of his apartment block, she was actually sleepy, tiredness gnawing at her. “It’s nice,” she said, as he turned the engine off. “Thanks. I think.” He handed her the keys. “It’s nerves,” he added. He opened the door and Lindsay shivered at the cold rush of air. She opened her own door and went around to the driver’s side. Luke was already a few paces away, preparing to leave. He put his hands in his coat pocket. “I don’t think I’m the only one who did that,” he said, his breath fogging the air. The impulse struck her suddenly, without warning. She crossed the crisp snow to stand in front of him and reached up to grasp his lapels. She felt him pull his hands out of his pockets and thought for a moment he was going to push her away but he laid them on top of hers. His eyes were completely black in the light. She tugged a little, trying to pull herself up and him down. “You don’t have to do this,” he said. “I know.” She pulled a little harder. “God, yes,” he said, his voice low. She pulled again and this time he let her. She kissed him, exploring his taste, the shape of his mouth, the novelty of the kiss. Then, from an unknown quarter, an intense, heavy, sweet wave of pleasure spilled through her and all the intellectual curiosity about the kiss washed away beneath it. She was drawn into it, coherent thought scattered to the four winds. She lost sense of time. When the kiss ended, it was very much like she was reviving from a drug-induced haze. Her lips were swollen and her whole body throbbed with unfulfilled tension. Luke’s arms were around her, holding her up, lifting her to his lips. She held her breath for a second, then pushed it out with a heavy sigh. He nodded. His hands cupped her face and his fingers smoothed their way down her cheek, caressing it. His eyes were very dark. Unrevealing. Neither am I, she thought. She stepped back. His hands reluctantly dropped from her face. She climbed back into the car and tried to fit the key back into the slot and failed again. Her hands felt big, clumsy and heavy. She concentrated and slid the key in and started the car. Luke was still standing there and watched her leave. Now what? she wondered, exploring her lips with her fingertips as she drove. I’m Live on Facebook This Monday. Kudos to you, then, Anny! I just plain can’t do it that way. There isn’t time in my day. Work takes eight hours, travelling to and from work takes another 2.5 hours (and that’s my writing time), sleep takes 7, preparing, cooking, eating and cleaning up after meals, another 1.5 or so, working out, 45 minutes, getting reading for work, 1.5 hours and then the rest gets eaten up by time killers like answering the phone, waiting for buses, kids, kettles, microwaves, elevators….